Air mattresses are great when you have guests sleeping over or want to camp in total comfort, but air mattress pumps are a different story. An electric one is loud and doesn't do much good at the campsite, while a manual one is easily broken or forgotten about. 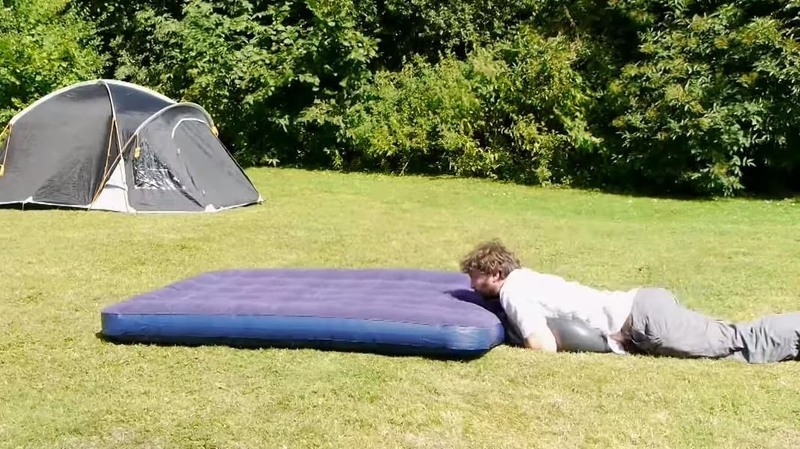 Luckily, there is an alternative to inflating an air mattress using your own breath, and it's easy. According to DaveHax, if your air mattress pump is broken, missing, or not suitable for the environment, use a plastic bag. 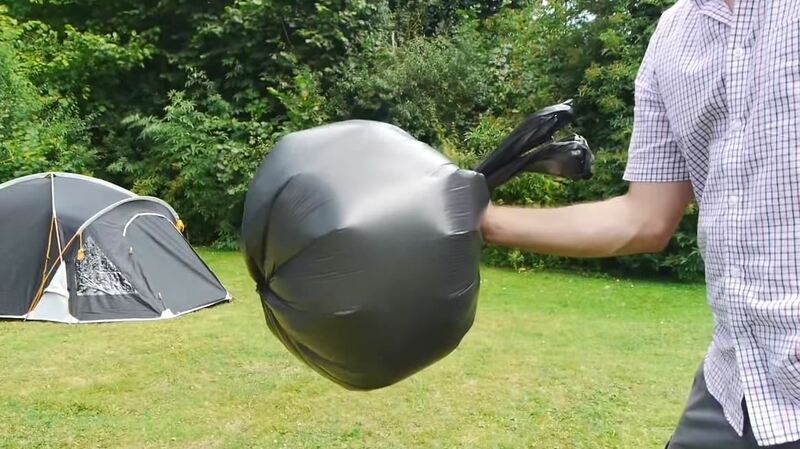 A large garbage bag will do best, since it's thick plastic and can hold a lot of air. 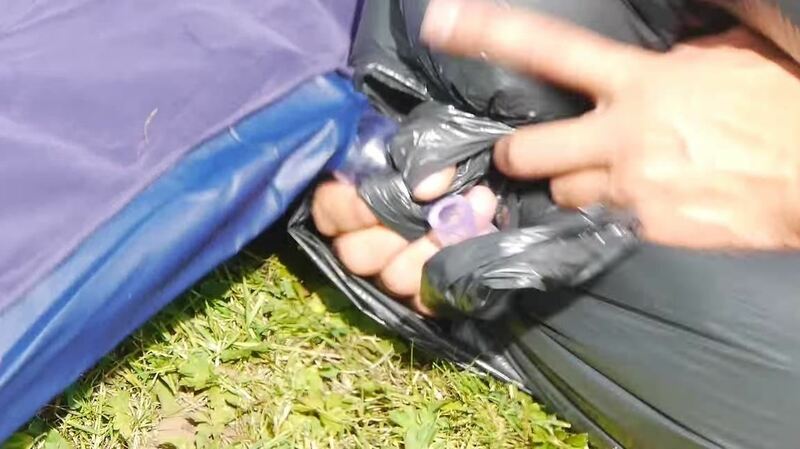 Trap air inside of the plastic bag, then close the top off with your hand. Loosen your hand slightly to create a small opening in the bag. 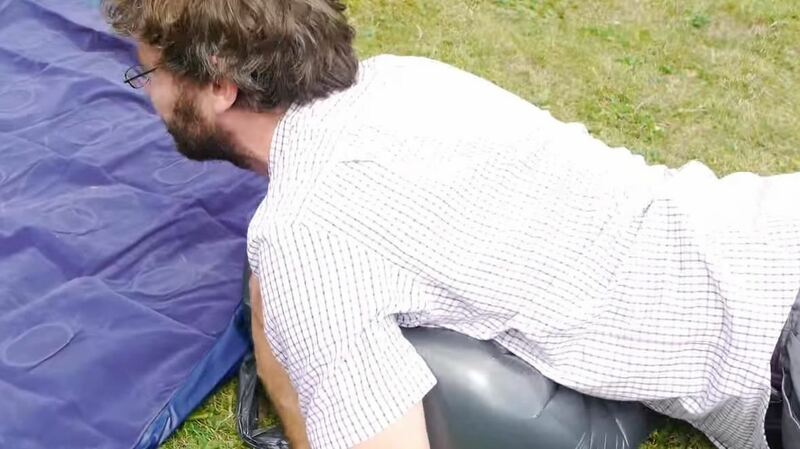 Slide the bag's mouth over the opened air mattress valve. Lay on the plastic bag to push all of the air out and into the mattress. Repeat until the air mattress is fully inflated. This sure beats using your own lungs. To see it in action, make sure to watch Dave's full video below. 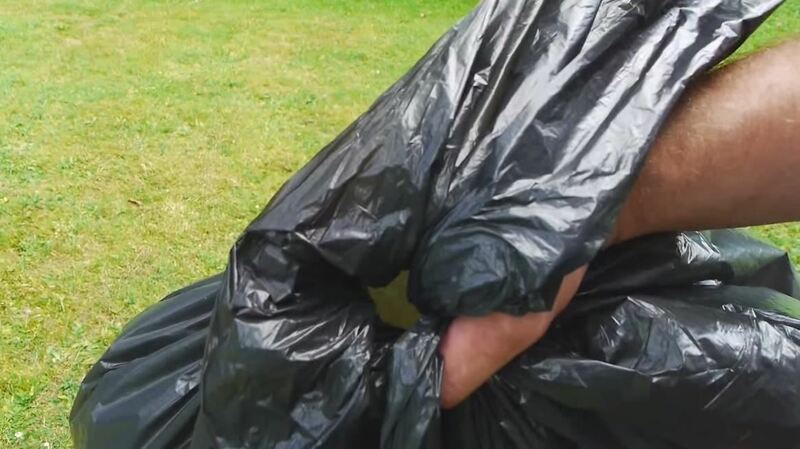 If you don't have a plastic garbage bag available, any thin, lightweight plastic material could work, like the skin of a leftover pool inflatable or ziplock bags. Just note that if you're using ziplock bags, it's going to take a long time to fill that mattress up. 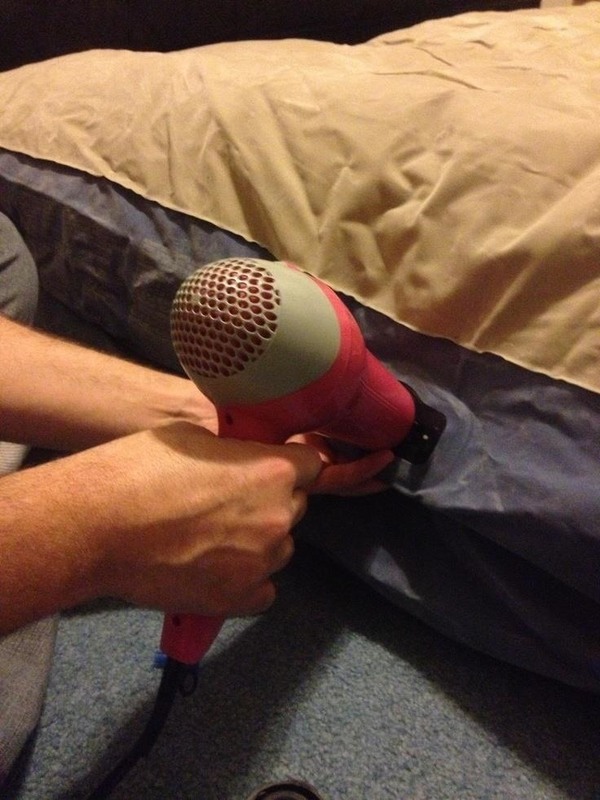 If you aren't worried about melting the plastic of your mattress, feel free to grab the nearest hair dryer, too. Just don't use the high setting—the lowest setting is best to prevent melting. No matter your method, the goal is to save you the time and breath of blowing up an air mattress when you don't have an actual pump available. Which ones have you tried before? Picture #3 looks like your stuffing the air mattress with pot.